For those of you who have ever lost a doggy best friend to disease, you unfortunately know all too well how awful it feels. Going through the process of losing a dog, especially one who is a family member, is beyond words. Watching your dog become ill overnight or just waking up to find your dog passed away during the night is earth-shattering and truly beyond words. From the first time we picked Joey (aka, “Papa”) up at 8 weeks old, we instantly fell in love with him. He was a sweet boy with an amazing spirit and a zest for life! He loved hugs, rides and walks on the beach. As Joey grew older, he managed to convince me that we should have a beach house so he could enjoy endless walks by the ocean and smell the salt in the air. Days before we were to close on the house, Joey was diagnosed with an inoperable hemangiosarcoma of the heart. The diagnosis was brutal and the inevitability of the cancer was a dreaded reality. We made the best of this devastating time and celebrated his 10th birthday at the new house with a cookout in his honor. He ate like a king with a steak dinner and a ride to the local ice-cream shop for his favorite treat – ice cream! The night ended with a colorful fireworks display, which he absolutely loved! My sweet boy passed a few days later. In his short 10 years, Joey managed to teach me so much about life and myself. He taught me the value of quality verses quantity and how to love without limits. His appreciation for what I thought were the smallest things, seemed to penetrate into a life of gratitude. I will forever treasure our time together and the bond we shared. So many of our beloved dogs pass away from Hemangiosarcoma, as did two of my Golden boys. Another cancer on the rise in our beloved dogs is Lymphoma. All dog cancers are toxic and with your help we will make a difference in the lives of all dogs by allowing pet cancer research to continue. Cancer in canines has become one of the most dreaded diseases. In fact, it is the leading cause of death in dogs!! People who have already been through this with their own dogs live with the fear that it will happen again and again. 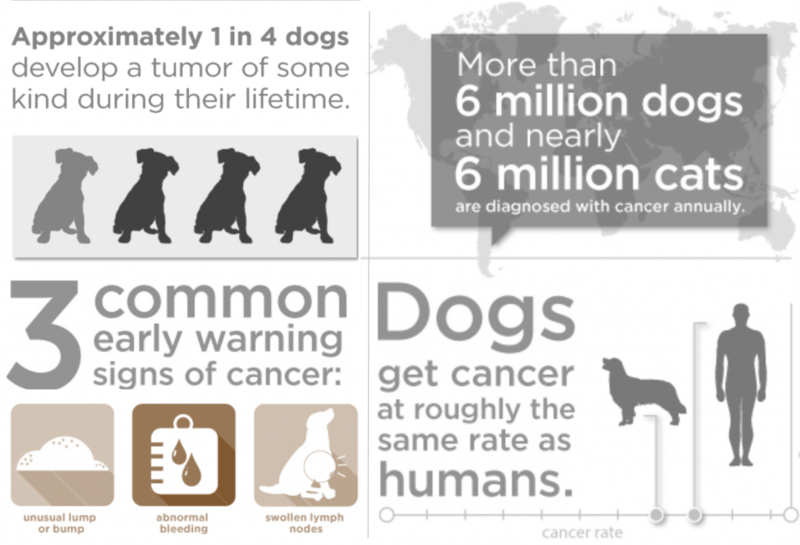 Despite our dogs having more access to health information, better diets and advancements in both traditional and holistic veterinary services, the cancer rate in all dog breeds has skyrocketed. Researchers at the Morris Animal Foundation’s Golden Retriever Lifetime study are working to identify the factors associated with the development of cancer and other major diseases in all dog breeds. Identifying and understanding these risks is the first step toward better canine cancer prevention, diagnosis and treatment. Please, if you have a dog that is currently battling cancer, have lost a dog to cancer, or know someone who’s dog is currently fighting for their lives, please help us to raise money and awareness. 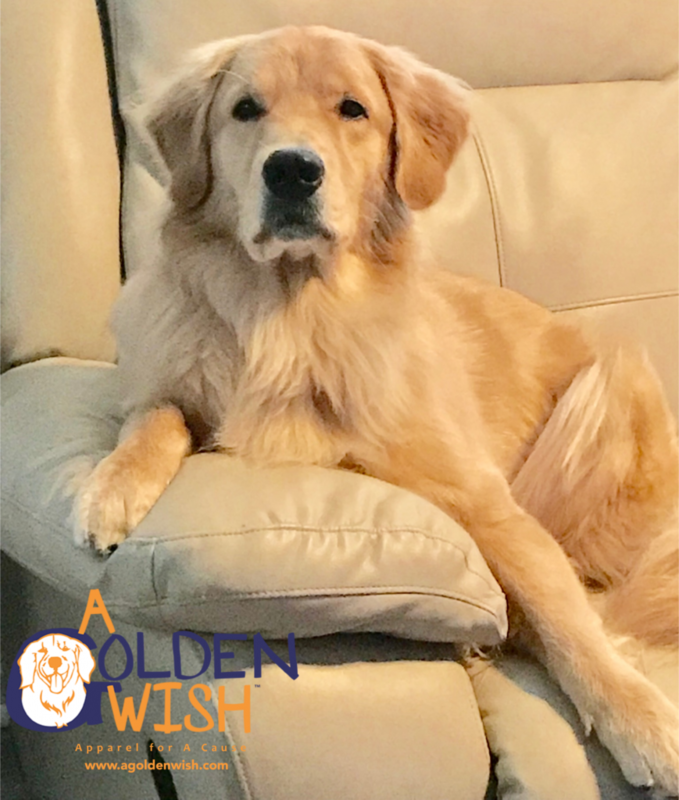 A Golden Wish offers custom-designed apparel supporting curing canine cancer. For each item purchases, we will donate 10% to the Morris Animal Foundation’s Golden Retriever Canine Lifetime study, where they work day and night to help fight these horrible diseases.